Mike Tate, a cotton producer from Huntsville, AL, was elected National Cotton Council (NCC) chairman for 2019 during the organization’s annual meeting in San Antonio. Tate succeeds Ron Craft, a cotton producer and ginner from Plains, TX. A graduate of the NCC’s Cotton Leadership Program, Tate previously served as a NCC director and as a member of numerous NCC committees. He served as a director and board advisor of Cotton Council International, the NCC’s export promotions arm, and has held multiple leadership positions in the NCC’s American Cotton Producers, including as its chairman in 2016-17. The recipient of numerous honors, Tate received Cotton Grower Magazine’s Cotton Grower Achievement Award and Farm Press Publications’ High Cotton Award. The NCC vice chairman for 2019 is Kent Fountain, a Surrency, GA, ginner. Elected as NCC vice presidents are Kirk Gilkey, ginner, Corcoran, CA; and Ron Harkey, warehouser, Lubbock, TX. Re-elected as vice presidents are Robert Lacy, Jr., cottonseed processor, and Kevin Brinkley, marketing cooperative executive, both from Lubbock, TX; Joe Nicosia, merchant, Cordova, TN; and David Hastings, textile manufacturer, Mauldin, SC. Re-elected as secretary-treasurer is Barry Evans, a producer from Kress, TX. Producers – Neal Isbell, Muscle Shoals, AL; Patrick Johnson, Tunica, MS; Shawn Holladay, Lubbock, TX; Doyle Schniers, San Angelo, TX; and Mark McKean, Riverdale, CA. Ginners – Wesley Morgan, New London, NC; Curtis Stewart, Spade, TX; George LaCour, Morganza, LA; Tom Pires, Riverdale, CA; and Drake Perrow, Cameron, SC. Warehousers – Joe Tillman, Memphis, TN; Jay Cowart, Altus, OK; Coalter Paxton, Wilson, NC; Joe Cain, Bakersfield, CA, and Robert Swize, Corpus Christi, TX. Merchants –Jordan Lea, Greenville, SC; Raymond Faus, Plano, TX; William Barksdale and Jeff Johnson, both of Cordova, TN; and Bobby Walton, Memphis, TN. 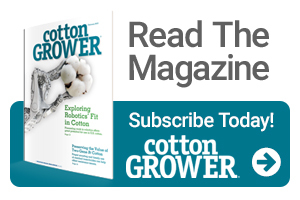 Cottonseed – Paul Scruggs, Overland Park, KS; Sammy Wright, Tifton, GA; Austin Rose, Altus, OK; and John Chisum and Jerrod Drinnon, both of Lubbock, TX. Cooperatives – Keith Lucas, Lubbock, TX; Hank Reichle, Greenwood, MS; Paul Bush, Glendale, AZ; Wayne Boseman, Garner, NC; and Reid Nichols, Altus, OK.
Manufacturers – Anderson Warlick and James Martin, both of Gastonia, NC; William Bowen, Inman, SC; Robin Perkins, Sanford, NC; and Owen Hodges, Columbus, GA.